TIP: if you are worried about the shaving cream getting into the egg shell, you can do the same process with Cool Whip and food color. See how to make COOL WHIP EASTER EGGS here. Every Easter we think of fun ways for the kids to enjoy dying and coloring their Easter Eggs. When you Dye Easter Eggs with shaving cream, the kids can get right in there and have fun in the shaving cream. And the shaving cream will actually even help clean up the mess afterwards. And second to the fun tie dye colors on the eggs, the shaving cream is so cheap! You can pick up the shaving cream in most stores for under a buck! Make sure it is shaving cream and not shaving gel. The gel will not work like the shaving cream will. 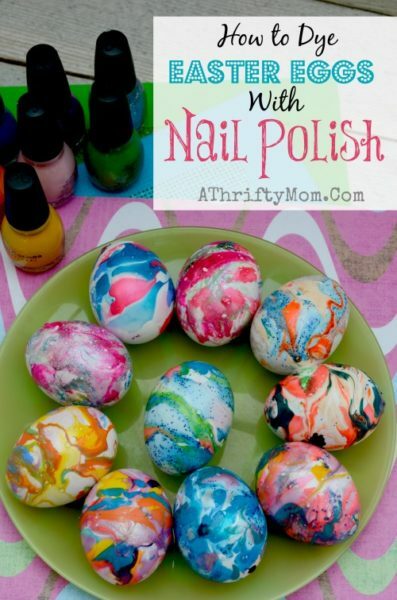 Here is how you can dye Easter eggs with shaving cream to make swirl Easter eggs. First get the normal food coloring out of your cabinets. Or make sure you pick up the cheap liquid food coloring dye at the store. Get one or two cans of shaving cream – remember it has to say cream, the shaving gel will not work. A glass pan or flat bottom bowl or dish to roll the eggs in. A metal pan will work too if you don’t have glass, it is just the glass will not absorb the color like the small pits and scratches in metal might. You can follow the directions on the back of the food coloring dye to make fun new colors. Make sure you place it in a glass cup or small bowl so it won’t leave a stain behind. Next spray a layer of shaving cream in the bottom of the glass pan. You only need it no deeper then one inch. Anything more then that will just be wasted. Spread the shaving cream some what smooth so the coloring does not run down steep slopes and pool together. Then with as many colors as you want to use, we found between 2-4 works best or it just blends together too much and creates brown or ugly green. Place the drops of the food coloring in random spots all over the layer of shaving cream. The more random the better the colors will swirl. Next with a thin toothpick, or a small narrow stick or even a lollipop stick, drag the stick through the shaving cream in random lines. Large swirls and loops will give the layering effect. Once you have the swirls the way you think looks great, place the Easter Egg in the shaving cream on one end. Gently roll the Easter Egg in a straight line from one side to the other. Carefully pick up the Easter Egg and gently place it on cardboard so it will not roll. You can leave it there till the shaving cream starts to dry up. Usually about 5-10 minutes and you can then clean it. To clean it take a paper towel and gently dry off the shaving cream off the egg. Don’t worry the food coloring has already done its magic. After you have all the eggs cleaned off and dried, now you can roll them around and check out your artistic work! Our kids enjoyed every part. With the old tablets and vinegar, they always got bored and thought it smelled. Using shaving cream our kids thought it smelled great and had fun at every part of the project! Getting to watch the shaving cream fly out of the can when they sprayed it into the pans, and then even had fun smoothing it all out. It was fun for us to watch them strategically place each dot of food coloring. They will tell you the best part was the rolling it in the cream and then the drying part when they got to see their fun work! So make it a fun night with your kids. Share this with your family and learn how to dye Easter Eggs with shaving cream. They will make fun bright designs that will win any Easter Egg coloring contest out there! And then when you are all done you have some fun looking eggs ready for egg salad sandwiches, potato salad and all the fun things you can make with hard boiled eggs! Make sure you share this with your friends, Share it on Pinterest (hover over a photo) and save it to your Facebook timeline for later! Previous articlePeep Toe Spring Bootie – 3 Colors! You can use cool whip if you want to eat the eggs, or shaving cream if you just want them for display. Whip Cream or Cool Whip works just as good..
For those worrying about the shave cream if you plan to eat them, the article says to use cool whip instead. Ashley K Custer, you want to do this? Won’t the egg absorb the flavor of the shaving cream? I did this last year and could not wash smell off to eat them. I have done this many many times. Not sure why it didn’t work for you but… Were your eggs dry when you did it? 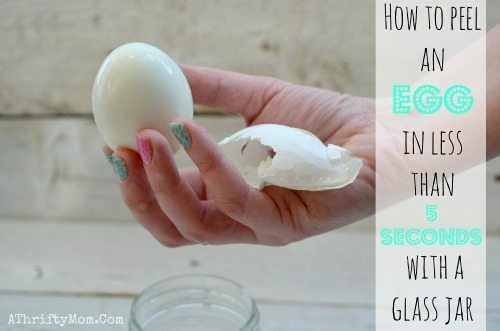 Water will stop the food coloring from absorbing into the egg shell. store bought eggs have to be washed first or dyes have trouble penetrating the shell. this might be the problem. Yep, I had to throw out our whole batch. The shaving cream seeped into the actual eggs. Using whipped cream next year! I would recommend the cool whip over the shaving cream if you plan to eat the eggs afterwards. I only did one egg with the shaving cream this year and when preparing that egg for a dish I was making it smelled like shaving cream still. DoreenTalentinow I tried rinsing them off in cold and almost all the color washed off. We re-did them, this time just wiping them with a paper towel, and the color stayed on. Just want to warn others! I just did this with Cool Whip and they came out awesome! I will do this every year! We even swirled some of the dyed eggs and they look really great too! But when we cleaned them off I didn’t wipe them with a paper towel because we would have had to use too many, so I tried gently rinsing them off in cold water and it worked perfectly! @scatteredmom Miranda_PriceDollar Tree, Walmart, Safeway and Fred Myers had the plain dye kits here. Anybody try this yet with cool whip or whipped cream? Miranda_Price exactly. You don’t need wraps and stickers. There’s loads of things in your house already. They have the box Easter egg dye kit at Big Lots for like $2. It brought back memories. I like this idea but I would use cool whip over the shaving cream. Miranda_Price cool. I just think it’s dumb that they don’t have a plain kit anymore. At least, I couldn’t find one. You aren’t going to be eating them, looks like a great idea. Of course you don’t eat them! It looks like a great idea, think I will try it. The dye and the chemicals from the soap will pass through the shell. Please don’t eat this oh my gosh! The shaving cream can soak through the membrane on the eggs. When you crack your eggs open you’ll see the coloring seeped through and your eggs will be slightly colored. Shaving cream is not edible! The dyes you buy in the store are non toxic and safe to eat. Please don’t eat the eggs if you due them this way! I see this every year at Easter time and it drives me craY that people promote this way to dye eggs without thinking of food safety! Maggie will probably eat them before they get colored! That child LOVES boiled eggs! Hope this works on those plastic “looks like real eggs” too! Friday night fun coming right up!! what kind of harmful chemicals are in shaving cream …..!?!?!? I don’t think it’s a good idea at all !!!!! I’ve been blowing out my eggs for scrambled eggs in the morning. That way we can have a bunch of eggs to color and don’t have to eat them or throw them away. Also use eggs for summer craft project by breaking up the shells and gluing in mosaic designs. gigisofiaaa yes I’m going to do this! This looks like a lot of fun. Gonna try it this year. A fun idea for Brooklyn….check it out Shelly. Thank’s! I have a net10 phone and it wont let me on some of the links, this was one of them. Read the link. It’s very easy and works extremely well. Most kids can do it on their own after simple instruction! Basically, spray cream into glass cake pan about one inch deep, put several drops of color anywhere, use toothpick to swirl (not mix) colors then roll an egg through! Wait 10 or so minutes then just wipe off with paper towel. Have fun! You do realize egg shells are pourous right? would you eat shaving cream? Did this last year. Turn out really pretty. “Polished ” them with a little veggie oil. Yay that means you will be home that night! Indeed!! Jamie Plecker. Sounds so much easier to do this!! Dianna Sampson Ailstock can we try this? JenniferJohnsonWhite The directions say to not use SHAVING gel, @Jamie Cigrich is referring to the food coloring gel. you don’t eat the shell, when you dye eggs you dye the shell not the actual egg. We gotta do this!! But with cool whip!! I would love to try this with some kind of edible cream, like whipped cream. Would it work? Kathy Pena this would be fun for the kids! cant wait to try this too love coloring eggs !! Echo Jamieson, here’s one for ya! Um, In the directions it said to not use gel. Will have to try this! Looks like fun! Click on the link for very detailed directions. How does it work. Please someone message me about this. Do you put cream in the water with coloring? Or what do you do? I would really like to try this with my son. Lol thats a waste of money. But yes they are right it does seep through i tried it had to throw them away. the vinegar actually eats calcium which is what the shell is made of. the shaving cream/soap shouldn’t get through the shell. you can still eat these eggs if you refrigerate them after dying. the soap is just on the surface and then gets wiped off. This did not work at all. Shaving cream was pretty eggs did not take the color. Olivia Graham our new way to dye eggs! Chris Harley Joy Richards Ickes lets dye some eggs when we get up to Georgia! Will gel food coloring work? They didn’t have regular at walmart..
Doesn’t the egg absorb some of the shaving cream? I know when I have used vinegar and the tablets some of the dye has seeped through the shell and onto the egg. I’m not talking about cracked eggs. Did this last year and was completely disappointed….the color was very dull and we had even bought the “neon” food coloring! Will never do the again! Can cool whip be used? We did that when my nephews were young, but the cats rolled a few of them under the furniture; not good we finally found them by the smell. We went to plastic eggs from then until the youngest grew out of it. We should do those, Angela Brock! Egg shells are porous, they have thousands of tiny holes that allows oxygen in and moisture to escape. Eggs can absorb the chemicals. It looks like a fun way to decorate but I wouldn’t eat them. Google it!! The shaving cream does not penetrate the shell unless maybe the egg has a crack. Toss the cracked eggs but all others are safe to eat. you can eat these too the shaving cream just wipes off..we ate all of ours.. Such a great idea!!! Definitely trying this! Of course! Thanks for the reminder, I had forgotten about doing this until seeing your post! The kids loved it last year!!! Works with whipped cream too; a better option so you can still eat the eggs!!! This is a cool idea, but with the amount you would need it’s still cheaper to buy plain old white vinegar and the tabs. In my mind anyway. We did this last year as well and they did not turn out. Very disappointing. Jo Peters, I like the idea off trying this with cool whip. That’s pretty cool. The kids will love it. Love it. Can’t wait to try it. Looks like fun. We did this last year and they did NOT turn out like that. Check walmart for plastic dying eggs in the Easter section. 🙂 that way, you can do regular eggs to eat and the plastic eggs for fun! Do these with the kiddies! Would cool whip work instead of shaving cream? That way you can eat the eggs? Great idea as long as you don’t want to eat the eggs. Are they still safe to eat? Perhaps this would be healthier if done with whipped cream rather than shaving cream. Tie Dye Easter eggs. What do you know? please Google shaving cream ingredients – you won’t want to eat these – I definitely wouldn’t feed them to kids! You might want to Google the ingredients in shaving cream – I’ll stick with the vinegar method. Shaving cream – Propolene glycol is a humectant like glycerin, but unlike glycerin, it’s more frequently found in antifreeze and brake fluid. Triethanolamine, better known as TEA, is an emulsifying agent, meaning it helps keep the oil and water from separating. It’s also a very controversial ingredient in the cosmetic industry because not only is it a skin irritant, but many formulas containing TEA are found to be contaminated with nitrosamines, which are linked to cancer. Sodium lauryl sulphate (SLS) and sodium laureth sulphate (SLES) are two more controversial skincare ingredients. These make a great lather, but they also have a number of health implications. Lauryl mimics estrogen, which is especially problematic for women, and laureth often hosts a known carcinogen called dioxane. May try this include of buying dye this year..
We did this say thing but used whip cream so we could still enjoy the hard boiled eggs. Is it still safe to eat the egg? I mean, is there anything in the shaving cream that might be toxic? The shells are porous to an extent. ?? My kids had so much fun making these, the colors are amazing! They’re so pretty! I noticed in your picture that you used a sensitive skin formula of shaving cream, but the instructions didn’t specify that this was important. I’m guessing that a sensitive skin formula would be fragrance-free which might be important. I haven’t tried it, but I would imagine that most “regular” shaving creams could leave the eggshells with a yucky (menthol=gross!) scent that could even permeate through the shell and affect the egg. They’re pretty! Pinned. Thank you for sharing. Those look absolutely amazing! This might be a silly question, but does the scent of the shaving cream not permeate the shells and affect the taste of the eggs at all? Thank you so much for this idea! Coloured eggs are notorious for bleeding through. Lovely idea but not with shaving cream. Maybe something like rich’s whip? Whipped cream sounds better bc I am a bit worried about eating eggs that were in shaving cream. use whipped cream instead! Its fun but messy.